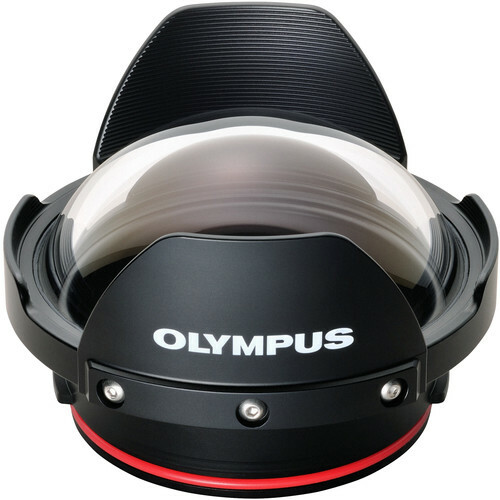 Capture extreme wide-angle shots with your Olympus M.ZUIKO Digital ED 8mm f/1.8 Fisheye PRO lens in this PPO-EP02 Dome Port. 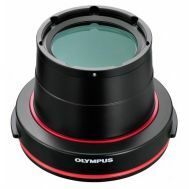 It mounts onto the Olympus PT-EP08, EP11 and EP14 camera housings. 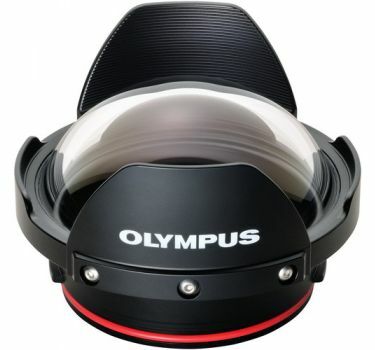 Capture extreme wide-angle shots of sharks, parrot fish, and coral reefs at depths up to 148' with your Olympus M.ZUIKO Digital ED 8mm f/1.8 Fisheye PRO lens in this PPO-EP02 Dome Port. It mounts onto the Olympus PT-EP08 and EP11 camera housings. Gain manual focus control over the lens via the PPZR-EP05 Focus Gear. 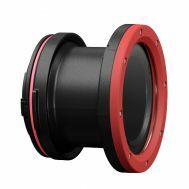 The port's dome-shaped front element corrects for the size distortion that causes everything to look larger and closer underwater. It enables you to reduce the amount of water between you and your subjects for clearer, more accurate images, while also fitting more in the frame. The port features a petal-shaped hood, which helps block stray light to prevent lens flare and also offers some extra protection against impact. For better over/under shots, where the port is partially above the water's surface and partially below it, the hood can be removed. Additionally, in order to facilitate easy handling, storage, and travel, the PPO-EP02 dome port is 15% smaller and 30% lighter than the previous PPO-E04 port from Olympus.